An international search has failed to find traces of missing Malaysia Airlines flight MH370 in the Indian Ocean location where two objects were spotted on Sunday. 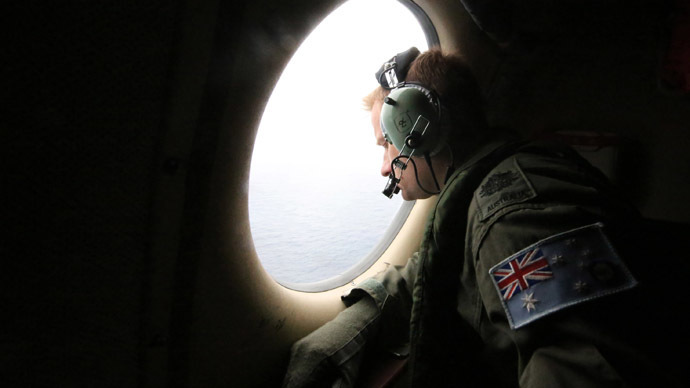 Australia's deputy prime minister said the suspected debris may have sunk. Two objects were spotted on satellite images in the Indian Ocean about 2,500 kilometers southwest of Perth on Sunday, Australian authorities said on Thursday. There have been no signs of wreckage, but the debris was considered a credible lead and sparked a massive search. Bad weather hampered search operations on Thursday, but conditions improved on Friday. Despite clear weather and visibility, the search team failed to find the debris. "Something that was floating on the sea that long ago may no longer be floating," Deputy Prime Minister Warren Truss told journalists in Perth. "It may have slipped to the bottom." 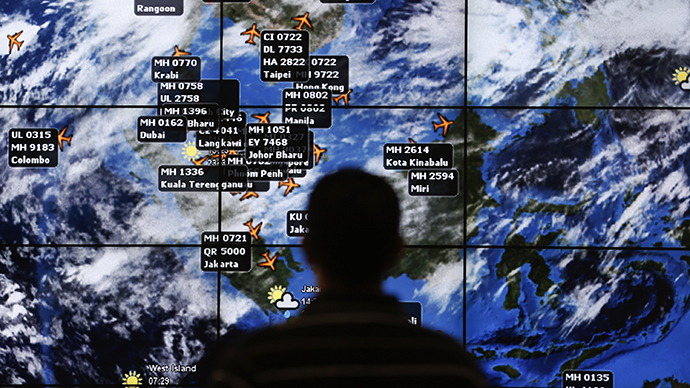 The search for flight MH370 has so far yielded no results. The plane, traveling from Kuala Lumpur to Beijing, vanished on March 8 with 239 people on board, around one hour after takeoff. American officials suggested this week that it changed course via the cockpit’s computerized Flight Management System, not by manual control. 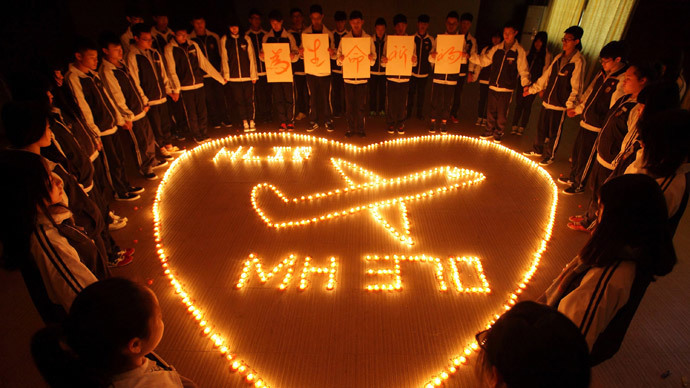 The announcement made by Australian authorities on Thursday regarding the possible plane debris raised hopes of a breakthrough. "Now it could just be a container that's fallen off a ship. We just don't know, but we owe it to the families and the friends and the loved ones to do everything we can to try to resolve what is as yet an extraordinary riddle," said Australian Prime Minister Tony Abbott during his visit to Papua New Guinea on Friday. The search for the longest civil aircraft disappearance in modern history continues. Aircrafts and ships have renewed monitoring in the Andaman Sea between India and Thailand. Australian, New Zealand, and US rescue forces will be joined by Chinese and Japanese ships and planes over the weekend. Japan will provide tools to assist with the search, including two P-3 Orions based in Perth, said Malaysian transport minister Hishammuddin Hussein. He added that China has deployed five ships and three helicopters to assist with the search. India said it was also deploying two aircrafts – a Poseidon P-8I maritime surveillance aircraft and a C-130 Hercules transporter – to join the hunt in the southern Indian Ocean and another P-8I and four warships to search in the Andaman Sea. A number of merchant vessels have also participated in the search, according to Australia’s deputy prime minister. Meanwhile, Prime Minister Tony Abbott noted while in Papua New Guinea that "it's about the most inaccessible spot that you can imagine on the face of the Earth, but if there is anything down there, we will find it."